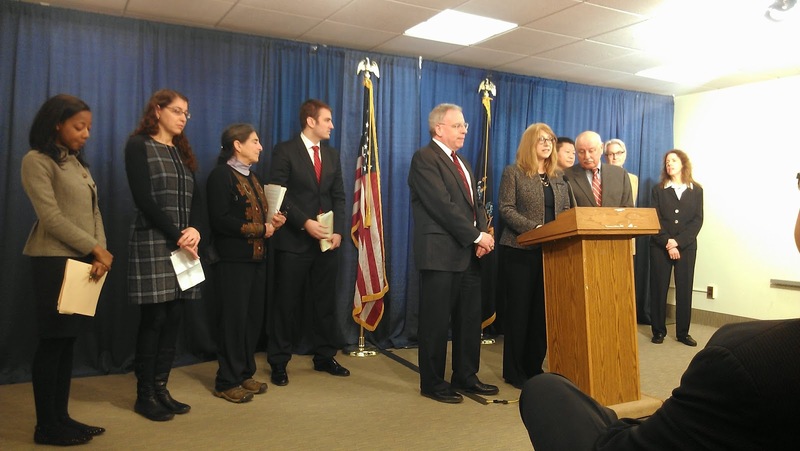 Hudson Valley for No GMOs: Five New Co-Sponsors for GM Labeling in NY! About twenty people representing farmers and health and environmental organizations, including Hudson Valley for No GMOs, traveled to Albany last week to meet with legislators who sit on committees crucial to passing a GM labeling law in New York this year. We are happy to announce that as a result of these efforts, we have five new co-sponsors for the bipartisan bill that would require labels for food containing GMOs (genetically modified organisms)! Legislators and staff were interested, engaged and often acknowledged that most in their districts were in favor of labeling (studies show that 93% of Democrats, 90% of Independents and 89% of Republicans want GMOs labeled). A big thank you to the newest co-sponsors of A3525; Assembly members, David Weprin, Thomas Abinanti and Edward Ra and of S3835; Senators George Latimer and Bill Perkins. Here is a complete list of the 50 Assembly co-sponsors and the 12 Senate co-sponsors. We are also most grateful to the sponsors of the GM labeling bill, Democratic Assembly member Linda Rosenthal of Manhattan and Republican Senator Ken LaValle of Suffolk. 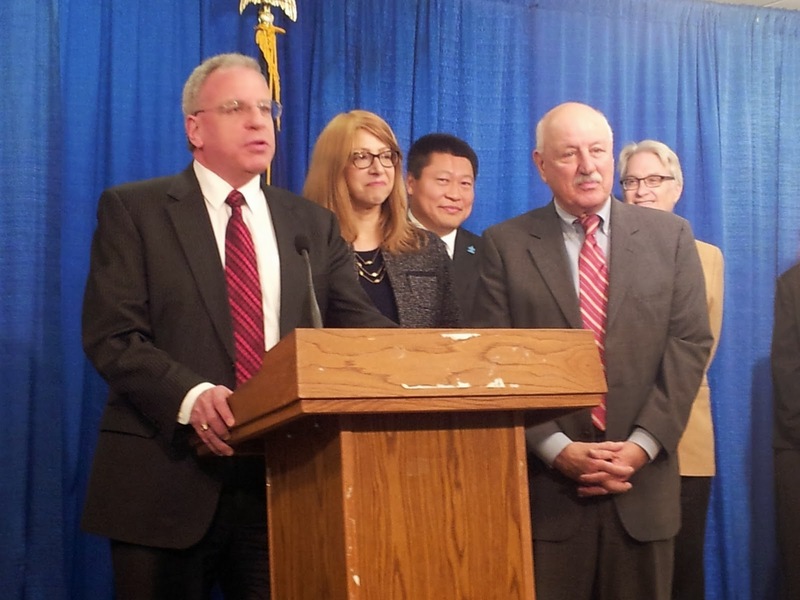 They are pictured below with Assembly member Jeffrey Dinowitz, chair of the Assembly Committee on Consumer Affairs and Protection, voicing his support of the bill. Behind them are Connecticut State Representative Tony Hwang, a Republican and prime sponsor of Connecticut's recently passed GMO labeling law and Dr Michael Hansen, a senior scientist for Consumer's Union, who spoke about the health risks associated with GM foods. One example he cited was a 2013 pig feeding study that showed higher rates of severe stomach inflammation in pigs fed GM grain. We are only asking for what almost all of the industrialized world has- the fundamental, democratic right to know what we are eating and feeding our families. A total of 64 countries, including the EU, Russia, China, Japan, Australia, Brazil, Kenya, Saudi Arabia and more all have GM labeling! GM labeling allows consumers to make informed choices and allows traceability and accountability of health effects from eating GMOs. Some countries ban GM crops totally or in part, because of concerns about harm to human health and the environment. If you are serious about having the right to know, we need you to make calls to your state legislators today. GMO Free NY, leading this effort, makes it easy for you. Please click here - call and simply tell them you want GM labeling (A3525 and S3835) in NY this year. The Monsanto and junk food lobbyists are already coming out in force against labeling, and to counteract them we need thousands of concerned citizens to make their feelings known. Thank you! 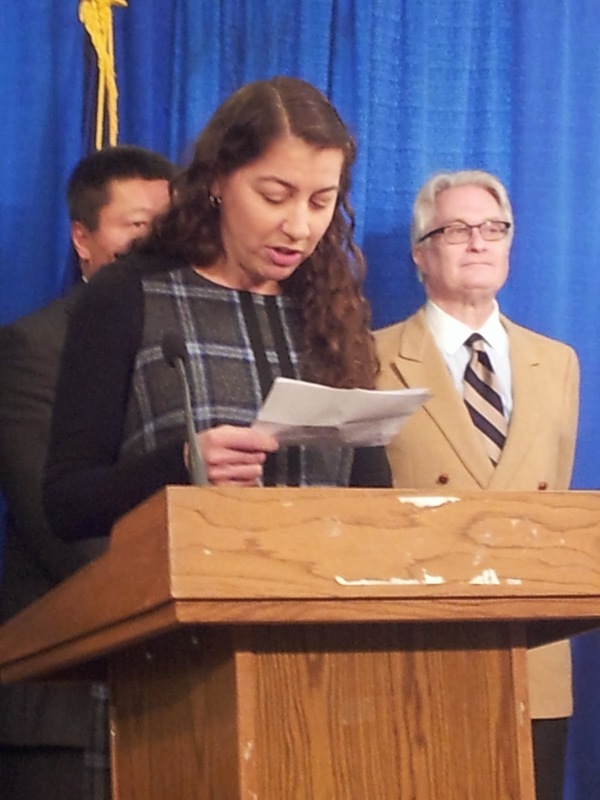 And finally, a big thank you to Stacie Orell, campaign director of GMO Free NY and head of the GE Labeling Coalition. She has been a tireless advocate for GM labeling and we appreciate her leadership! 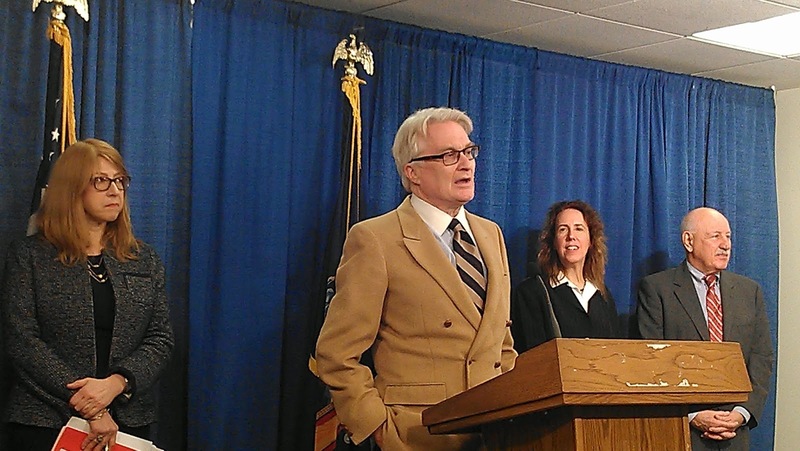 It is especially important to call assembly members and senators on the Consumer Protection Committees (scroll down). They are the gatekeepers of A3525 and S3835. The bill needs to be pushed out of their committees to go for a full vote. If Terry Gipson is your state senator, it is particularly important that you call him (845 463-0840) as he is a member of the Senate Consumer Protection Committee. New York could be the first state in our country to have a GM labeling law without restrictions! (Connecticut and Maine have both passed GM labeling, but other neighboring states have to also pass such laws for them to kick in). With your help, WE CAN DO THIS! We made the news- Sponsors of GMO bill Predict Victory over Monsanto. Tune into this site tomorrow for "Why Biotech Is Running Scared."